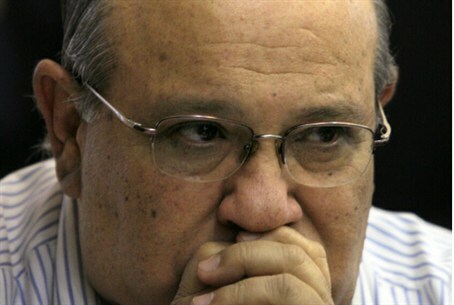 Former Mossad chief rejects Shalit deal, says it is worse than offers made during the Olmert government. Former Mossad chief Meir Dagan criticized on Monday the deal to free Gilad Shalit, which will see Israel release 1,027 terrorists in exchange for the abducted soldier. Dagan made the comments in a conversation with the chairman of the Almagor Terrorist Victims Organization, Meir Indor. The Shalit deal includes six Israeli Arab terrorists who will be the first to be freed by the prisoner swap deal. The six, who are Arab citizens of northern Israel, were brought to the Megiddo Prison Monday evening in preparation for their release to their families Tuesday morning. All are residents of villages such as Umm el-Fahm and Ar'ara and will be allowed to remain in their own homes. The 1,027 Palestinian Authority Arab prisoners who will be released include hundreds of multiple murderers with Jewish blood on their hands. On Tuesday, an initial group of 477 terrorists will be released in the first phase of the exchange, and Shalit will arrive in Israel. On Monday evening, the Supreme Court rejected the petitions that had been filed by families of terror victims against the exchange of the terrorists. By rejecting the appeals, the court officially gave the green light to implement the exchange deal.